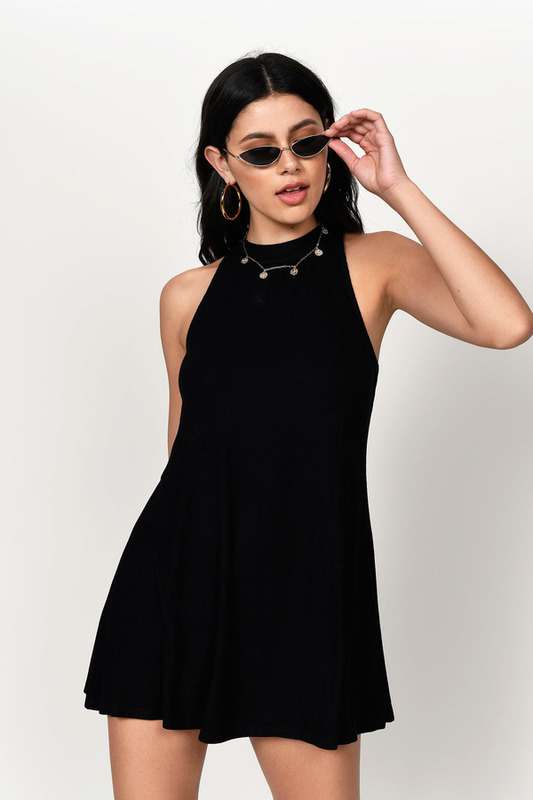 Check out Tobi's Carly Ribbed Shift Dress Grab your favorite heels and take the Carly Charcoal Ribbed Shift Dress out dancing. This sleeveless mini dress features a high neck, racerback, and a flared skirt, perfect for gettin' your groove on. Pair this bar dress with statement earrings.